Mushrooms, a member of the kingdom Fungi, are an amazing organism, not just something that have a “fun” name. In fact, mushrooms are one of the most interesting organisms on the planet, one that live by absorbing the material they grow on. How does that work exactly? Mushrooms absorb their food by excreting special enzymes that break down complex structures into molecules that the mushrooms absorb. Pretty neat! During this process, some mushrooms gain incredible amounts of trace minerals and nutrients, something that can prove incredibly beneficial to you in the long term. While not all mushrooms are reported to have amazing health benefits (some can be quite toxic) there are several species that consumers are quite pleased with, and have reported pleasant side effects from regular consumption. One example is the Chaga mushroom. Like many health-promoting mushrooms, this unique mushroom may provide superior health promoting qualities. In fact, Chaga has been used for centuries, often referred to as the “Mushroom of Immortality” or “Gift from the Gods” by ancient Siberians. 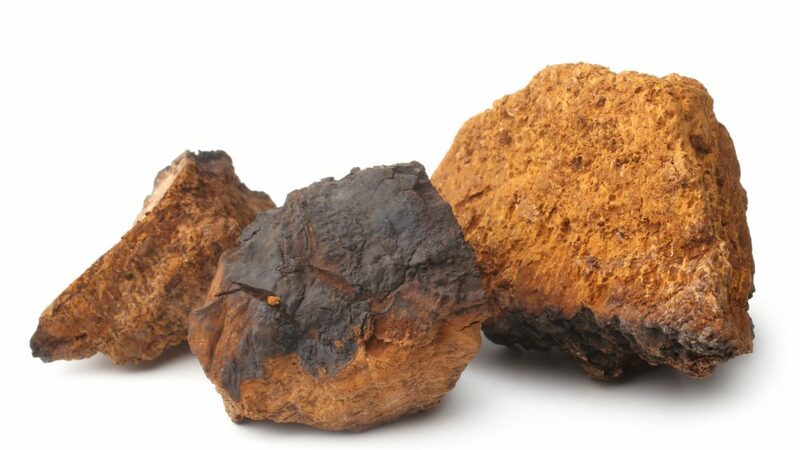 The Japanese often refer to Chaga as the “Diamond of the Forest.” Why would chaga earn such a reputation? Apart from the chaga mushroom’s ordinary health benefits, chaga has earned a health reputation as reducing the effects of aging. Chaga grows on Birch trees. It appears much less like a mushroom than a hard piece of wood. Interestingly, it is one of the least likely mushrooms to appear like a mushroom. One might mistake it for a piece of bark rather than a mushroom. 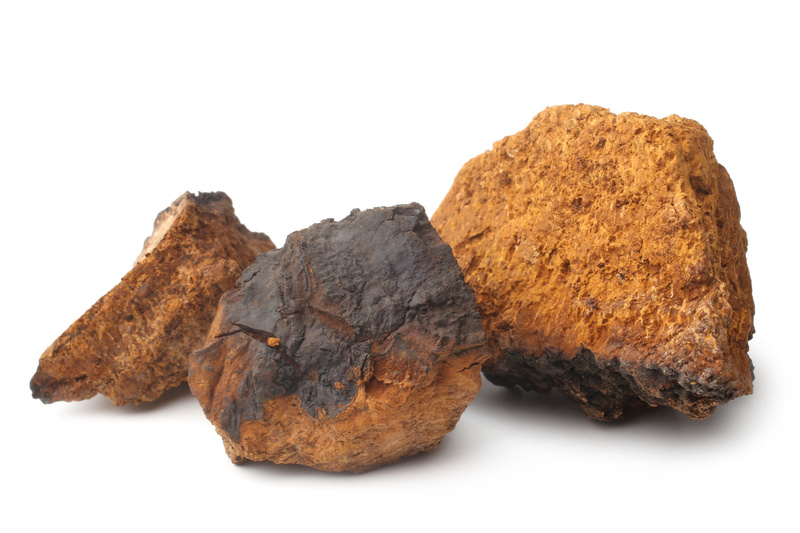 Don’t let the appearance fool you; chaga is anything but an ordinary piece of bark. Copper – Copper helps maintain the skin, bone, immune system and prevents the overproduction of microbes in the human body. It can also act as an antifungal and keep the hair and skin in good condition. Calcium – Calcium is essential to maintaining strong bones and teeth, strengthening bones and assisting with muscle contraction and cell membrane operations. Zinc – Zinc is vital for proper wound healing, for treating viral infections including the common cold, respiratory infections, malaria, and parasitic infections, for preventing macular degeneration, for addressing respiratory infections, for treating skin conditions including psoriasis and acne, and a host of other disorders. Consuming zinc, a trace mineral can help prevent ulcerative colitis, address proper weight maintenance, address weak bones and osteoporosis and so many other disorders. Zinc is essential to life! Iron – Iron is an essential nutrient that everyone needs for life processes; many women have deficiencies of iron, which can cause weakness, fatigue, and greater risk for infection or ill health. Iron helps metabolize the B vitamins. Manganese – This is an important mineral that helps metabolize food, maintains the function of the nervous system, and aids in the proper functioning of the metabolic processes of the body. It is also important for the development of normal bone structure and proper functioning of the body’s central nervous system. Melanin – Melanin helps protect the skin from sun damage; getting enough melanin is important for preventing deep wrinkles and protecting the skin from free radical damage. Pantothenic Acid – This form of vitamin B, B5, helps reduce the effects of conditions including allergies, stress, anxiety, and asthma or related respiratory conditions. By consuming B5, you may experience health benefits including improved immunity, reduced effects of osteoarthritis, and improved overall health. Potassium – Potassium is an all-important mineral in the body, critical for cardiovascular health, and vital to protect against type 2 diabetes. Potassium also helps prevent degenerative diseases. Saponins – Saponins have been studied as a vehicle for boosting antibody production, preventing viral growth in the body, and treating infections. A 2004 study published in the Journal of Medicinal Food suggests that Saponins may decrease your risk of cancer by increasing your body’s tumor fighting ability. Saponins may also prevent the body’s breakdown of DNA, by protecting the body from free radical damage. Selenium – Selenium may help boost your immune system, fighting bacterial and viral infections, protecting against cancer, fighting herpes virus, cold sores and even shingles. As a health supplement, selenium can improve levels of HDL cholesterol to LDL cholesterol, providing important healthy heart benefits. What distinguishes chaga from an ordinary health supplement, is the presence of trace substances including superoxide dismutase, or SOD. This enzyme helps prevent oxidation, a process that damages tissues in the body over time, causing aging. Oxidation is much like the rusting of a metal object exposed to the elements. Or, consider an apple that browns when exposed to the air. The same thing happens to the body, and the skin, which wrinkles with time, and “rusts” in a slightly different way when exposed to free radicals in the environment. SOD counters this process, helping to slow down and block the damage. The SOD content in chaga is extremely high, slowing this process and in some instances, blocking the damage caused by free radical agents. This is one reason that chaga is considered an instrument of immortality; chaga is not simply a whole food supplement, but is considered an agent of longevity.